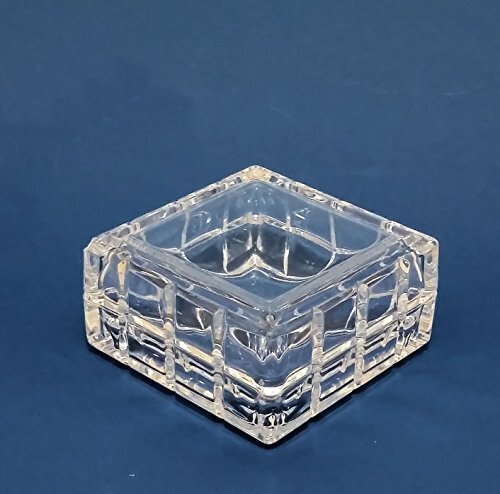 This elegantly designed trinket / keepsake / Jewelry box is made with finest, real Lead Crystal in France for Avon Products Inc. the leading beauty product manufacturer in the world. 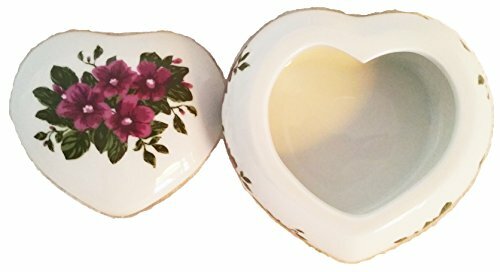 Perfect for displaying and storing trinket, candy and / or jewelry. Makes a great party / Wedding favor. 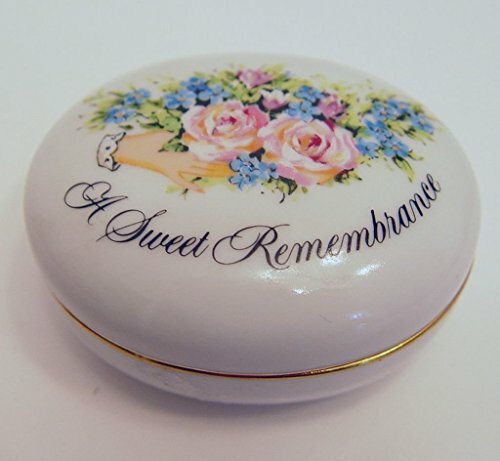 Dimension : 3.75"x3.75"x2"
A beautiful vintage trinket box for earrings, fine chains, and other small treasures. 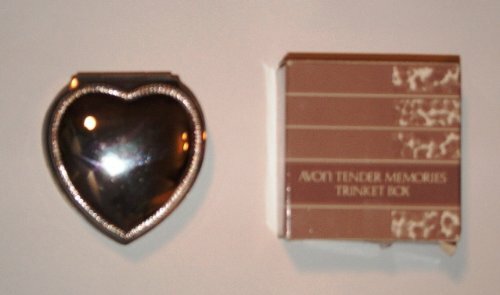 Avon introduced the Tender Memories Trinket Box in the Campaign 3 in 1987. It has a hinged dome lid and beautiful pink velour lining. 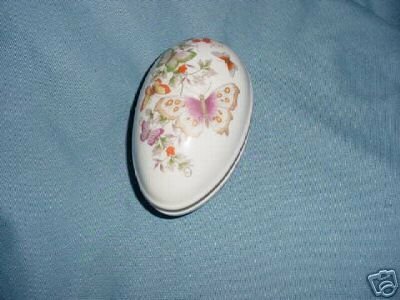 It is 3 inches wide and has a brass alloy base. Comes in the original box. Perfect for a Christmas Gift or any other special occasion! 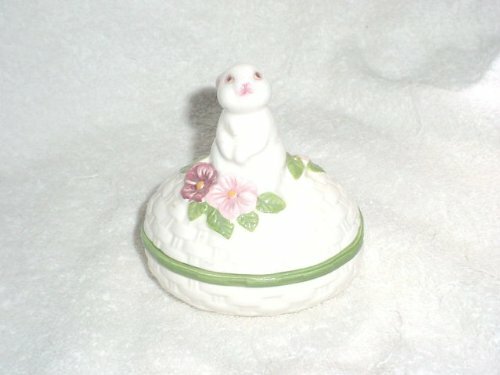 4-1/2" Avon 1982 Bunny Luv Ceramic Box. Rabbit on lid. 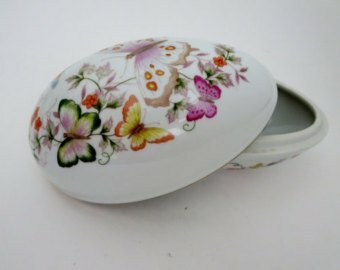 Marked on bottom Hand painted in Brazil Avon 1982. Mint condition. Brand new in the box. 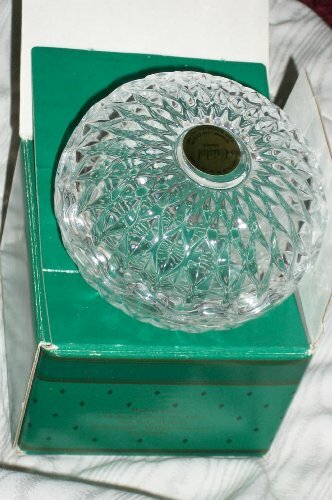 Dated 2012 Avon Fine Collectibles. 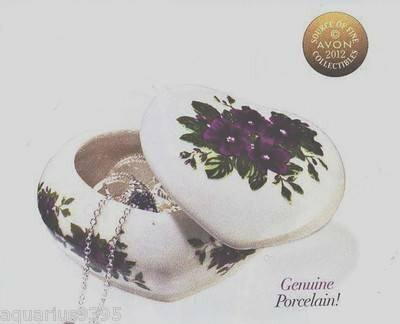 Porcelain. 3 inches X 1 1/2 inches. Inside of box says - "A Token of Love"